Giant class have been learning about the different seasons and looking out for signs of winter. We have noticed the weather getting colder, rainier and windier. We have also noticed the sky is darker and cloudier and it is getting dark sooner in the evenings. We read the Julia Donaldson story, Stick Man. 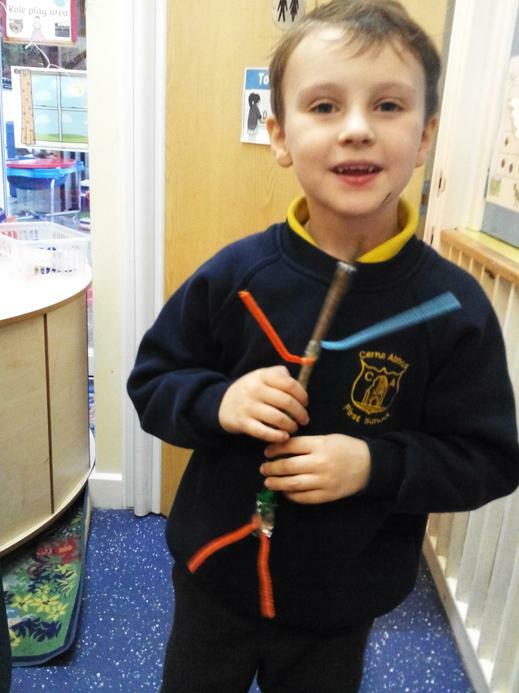 We thought about all the different things Stick man was used for before he found his way home to his family. 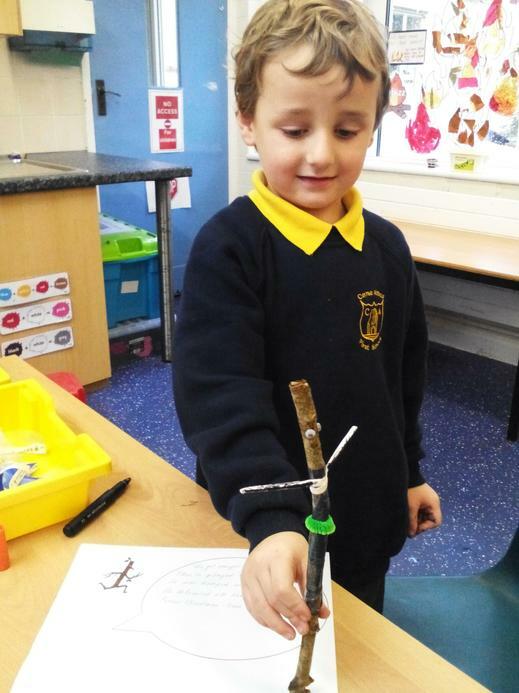 We were excited to see Santa at the end of the story, who needed Stick man to rescue him from the chimney! Stick man then helped to deliver the rest of the presents and was dropped back to his family tree. 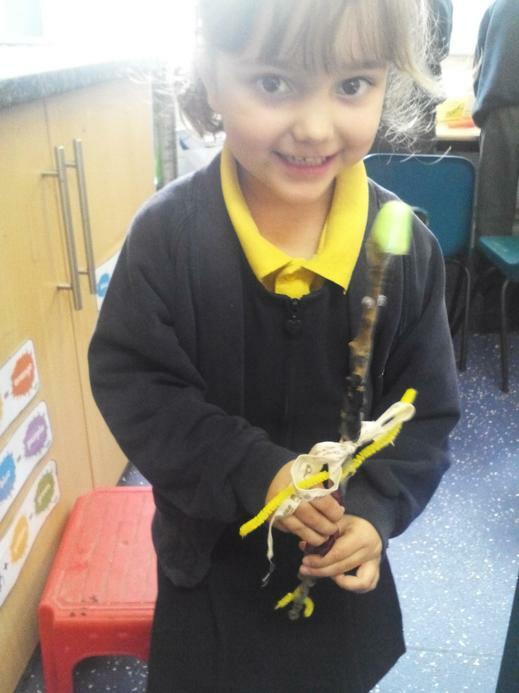 In class we made our very own Stick men, complete with googly eyes! 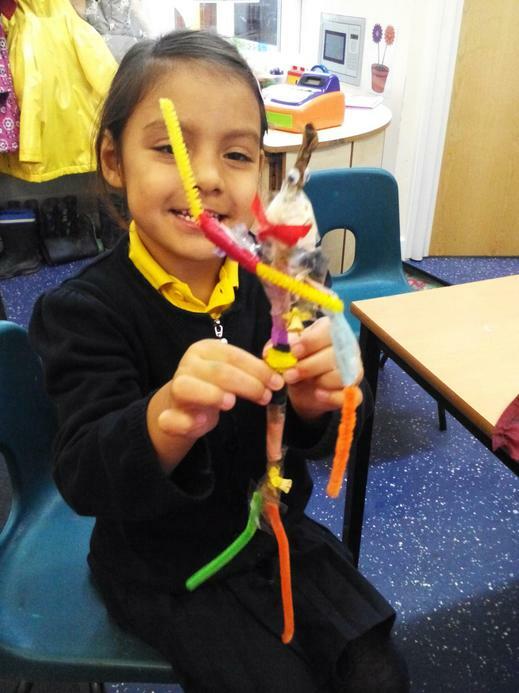 We used different creative resources to give our stick man arms, legs and clothes. We used our stick men to retell the story with our friends. 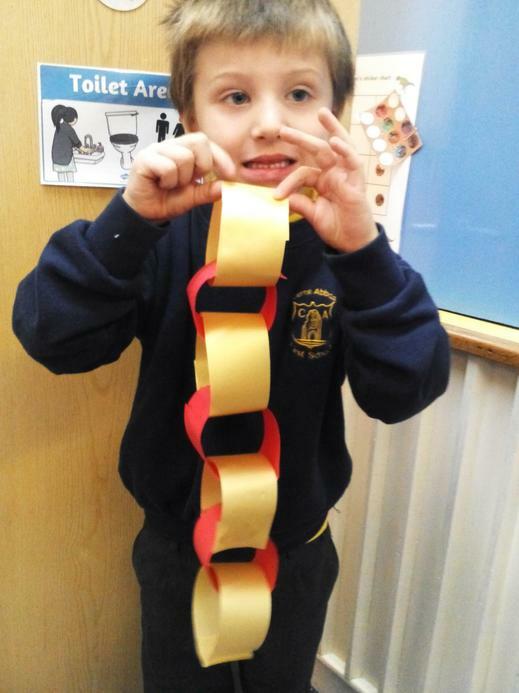 We have been beginning to think about Christmas and how different families get ready for Christmas. 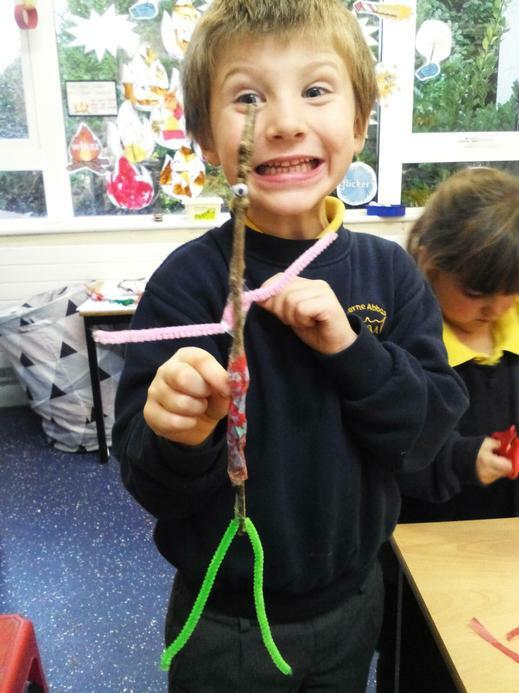 Some children have put up their Christmas trees and have been buying Christmas presents. During Worship, we have been learning some Christmas carols that we will be singing with the rest of the school at the Cerne Abbas Christmas Fayre on Saturday. We hope we will see you at 4pm outside the Royal Oak!